I know this question is posed to you every offseason, so let me get it out of the way. With changes coming to the Dolphins, Jaguars and Titans uniforms in 2018, do you foresee the Broncos ever changing their jerseys? "Ever"? That's a broad timeframe, so, sure. I'm certain that at some point in the future there will at least be tweaks. Even enduring uniform designs like those of the Packers and Steelers, for example, have seen changes over the decades. In the 1990s, the Packers removed some sleeve stripes and the Steelers changed their number font. But at this time, no changes to the Broncos' overall uniform scheme are planned. Andrew Mason lists his top 10 offensive line free agents for the 2018 offseason. McGovern and Max Garcia are both viable options, given their starting experience, and McGovern should be in the mix to back up Matt Paradis at center in 2018 if Paradis, a restricted free agent, returns. 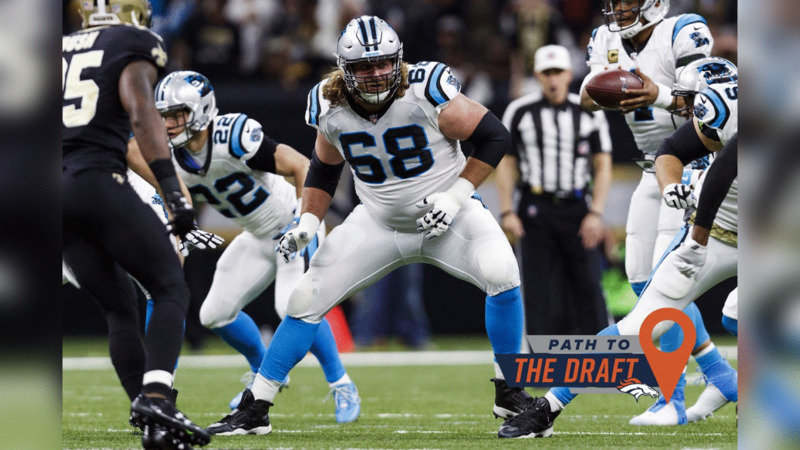 With Ron Leary returning to health, it would be no surprise to see McGovern and Garcia competing for a starting spot if the Broncos do not add a veteran in free agency or a guard in the first two rounds of the draft. The current draft system makes a lot of fans want their team to tank rather than win if the season isn't going well, as was seen with some Broncos fans last year. I think that the draft order for the first 10 picks of every round should be determined by strength of schedule, not overall record. that way, fans will keep cheering for their team all year long, no matter how the season goes. What do you think? I am generally not in favor of having the draft order determined by random chance or factors that are beyond the control of a team -- one of which would be the strength of schedule. Strength of schedule is good as a tiebreaker, but it should not be the sole determining factor in draft order, at least not if the draft is to continue in its role as a way in which competitive balance is maintained. Obviously, there are some exceptions, particularly in the continued futility of the Browns and the sustained excellence of the Patriots despite years of low draft position. But in spite of the current flaws, the current method -- or a limited lottery akin to the NBA, in which the draw is weighted toward the worst teams and the team with the worst record can pick no lower than fourth -- is a more practical method. Andrew Mason lists his top 10 running back free agents for the 2018 offseason. I appreciate the thought you put into your idea, but it is unworkable. Unless Washington places the franchise tag on Cousins, a trade is not a viable option. Further, even if Washington did use the tag, you could not expect to get him for anything less than a third-round pick -- which is what Washington will almost certainly receive from the compensatory pool if Cousins is not tagged and departs in free agency, as expected. Then, beyond that, a franchised Cousins acquired in a trade would have a salary-cap number in the vicinity of $34 million, given that would be the franchise-tag number for him this year. Andrew Mason lists his top 10 defensive line free agents for the 2018 offseason. 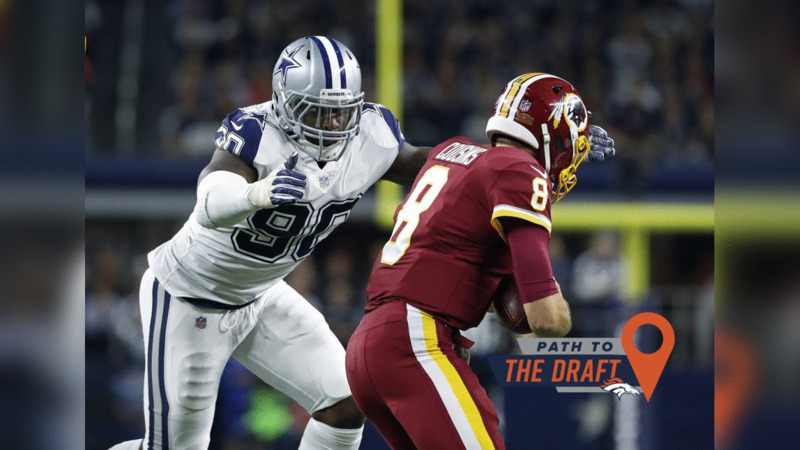 There are too many possibilities at this point to start gauging chances beyond making guesses, and the direction in which the Broncos go in the draft could depend on how other needs are filled in free agency, along with how the draft board shapes up. Beyond that, the success of running backs like Kansas City's Kareem Hunt and New Orleans' Alvin Kamara last year shows how the draft can yield outstanding second-day value at the position. Further, adding a productive running back near the top of the draft is not a predictor of team success. Of the nine running backs taken in the top dozen selections of the last 10 drafts, only Denver's Knowshown Moreno and Jacksonville's Leonard Fournette were part of at least one playoff win with his original drafted team. Moreno is the only one of the nine to play in a Super Bowl for his original team. In the big picture, other positions provide better potential value at No. 5 -- or higher, per your trade-up suggestion -- than running back. 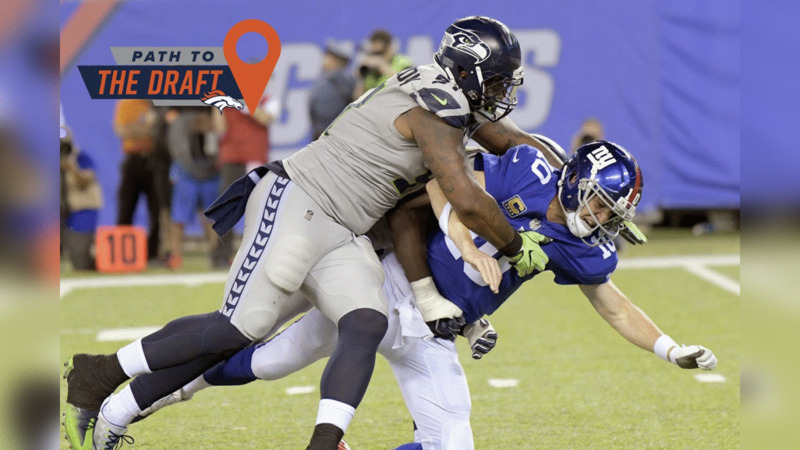 *The analysis, opinion and speculation in this story represents that of the author, gathered through research and reporting, and does not necessarily reflect the opinion of the Denver Broncos organization. 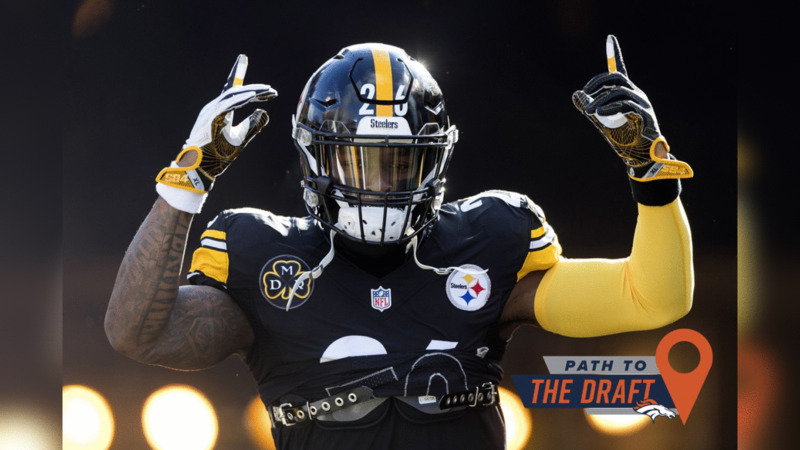 Andrew Mason lists his top 10 edge rusher free agents for the 2018 offseason.